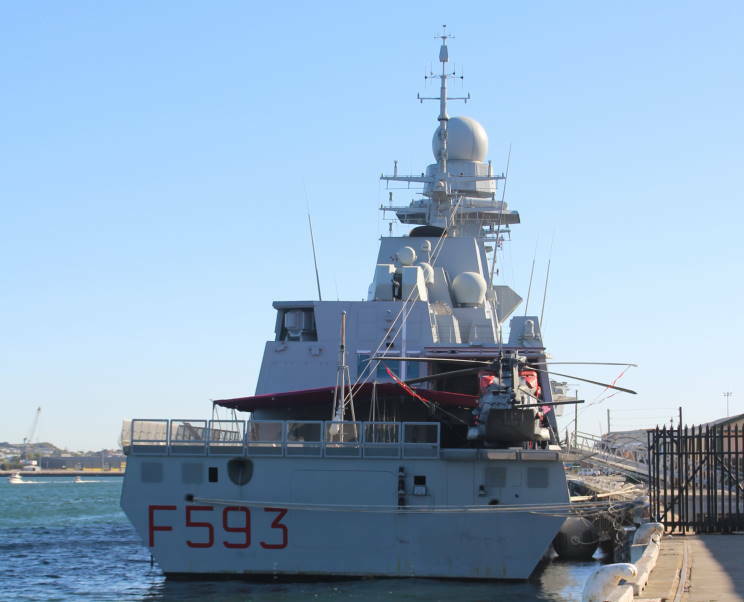 January 25, 2017: Carabiniere F-593 seen at the Victoria Quay, Fremantle, WA, Australia during a port visit. 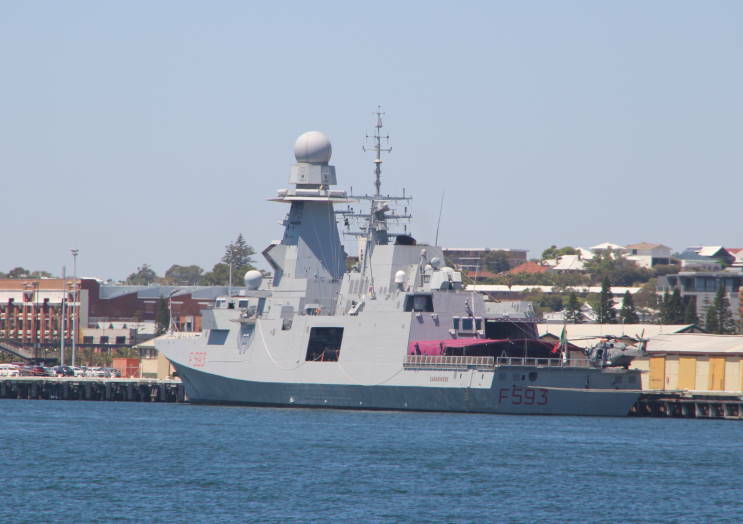 January 26, 2017: Carabiniere F-593 seen at the Victoria Quay, Fremantle, WA, Australia during a port visit. 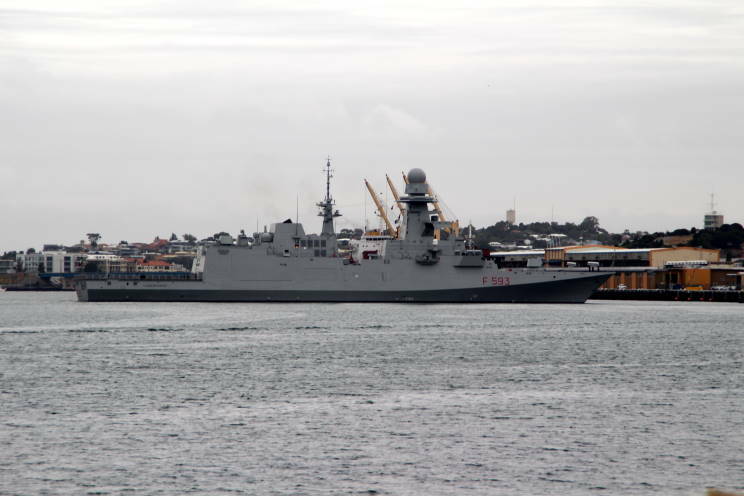 January 31, 2017: Carabiniere F-593 seen departing Fremantle, WA, Australia after a port visit. 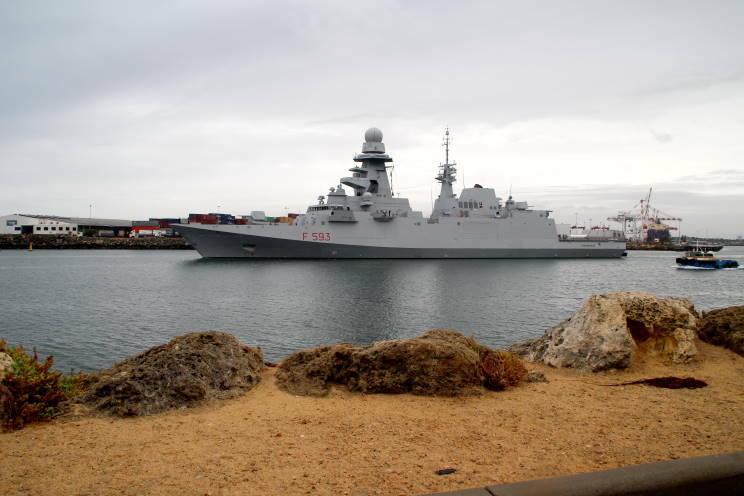 January 31, 2017: Carabiniere F-593 seen departing Fremantle, WA, Australia after a port visit. The tug Joan M is seen at right. 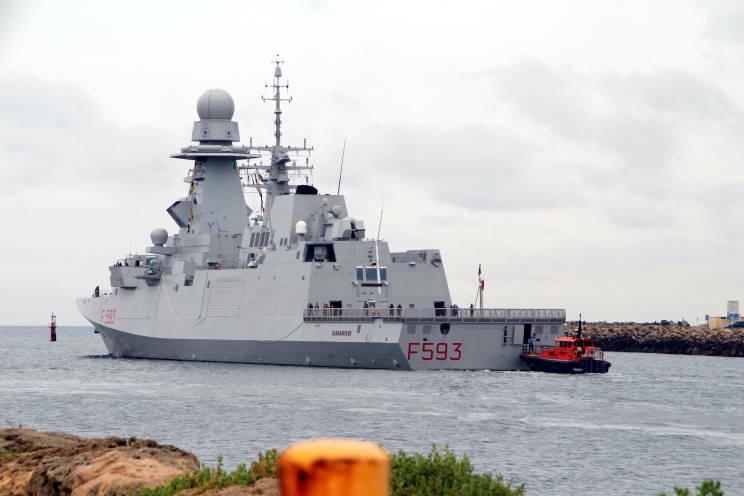 January 31, 2017: Carabiniere F-593 seen departing Fremantle, WA, Australia after a port visit. The tug Joan M is seen at left. 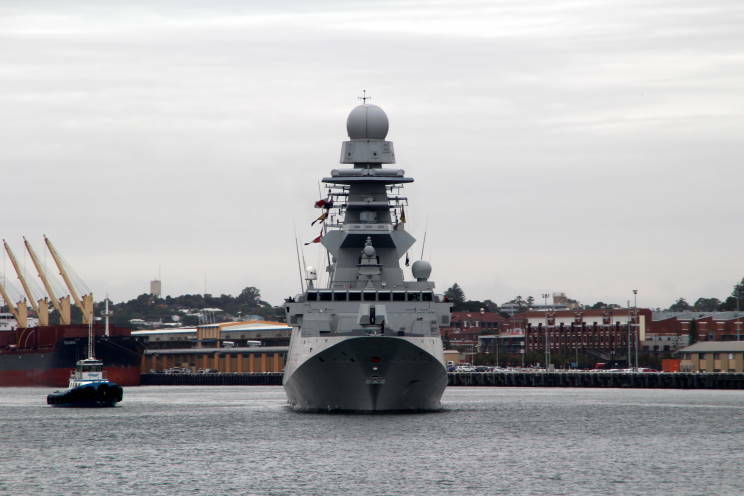 January 31, 2017: Carabiniere F-593 seen departing Fremantle, WA, Australia after a port visit. 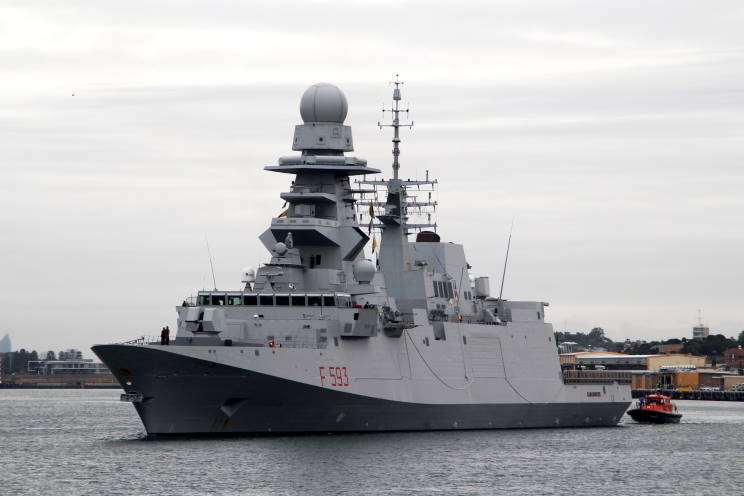 The pilot boat Paramelia is seen astern. 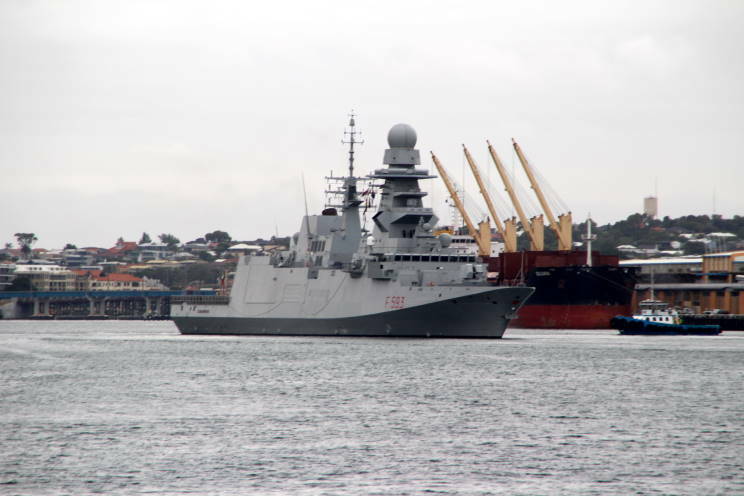 January 31, 2017: Carabiniere F-593 seen departing Fremantle, WA, Australia after a port visit. The tug Joan M is seen astern.